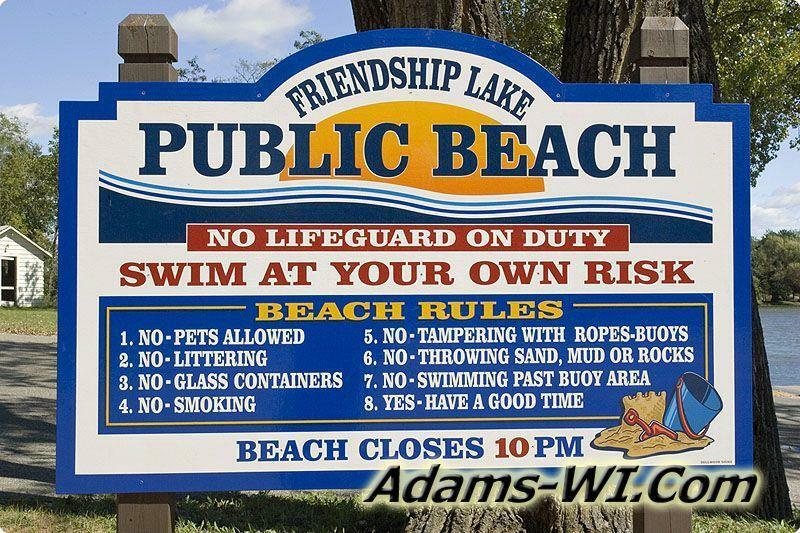 Friendship Lake is located in Friendship, WI. 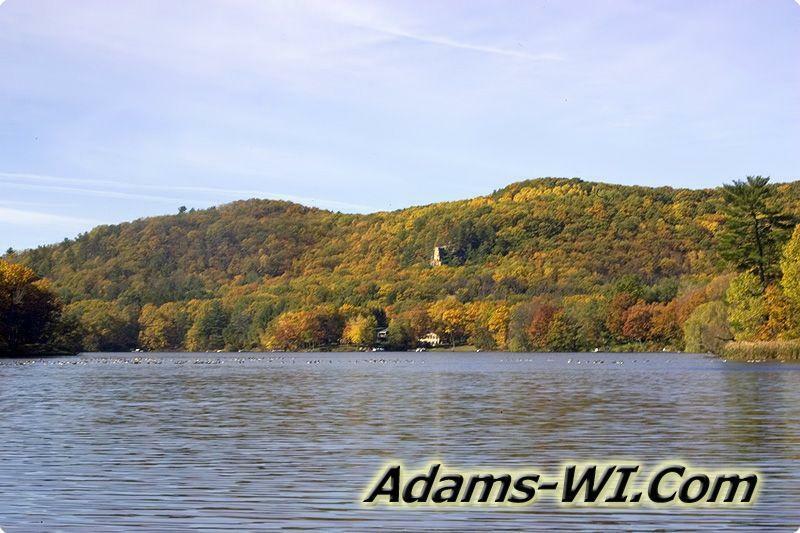 and is in 2 townships of Adams County; Adams and Preston Townships. 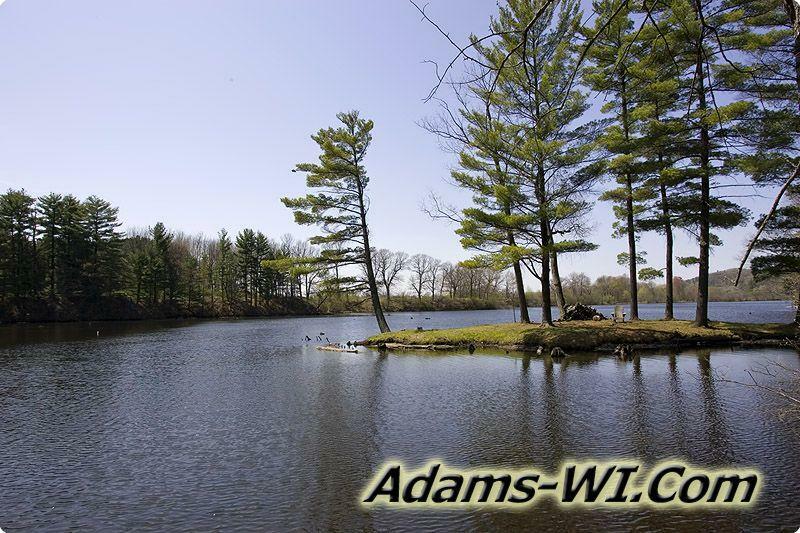 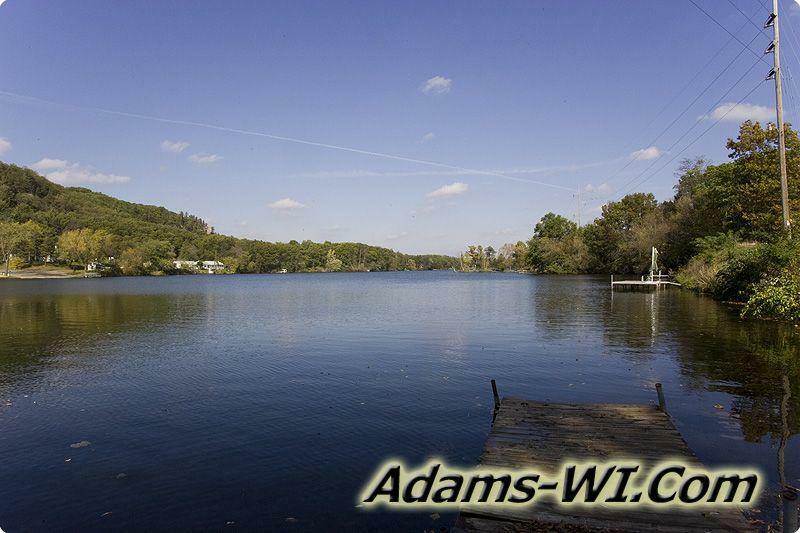 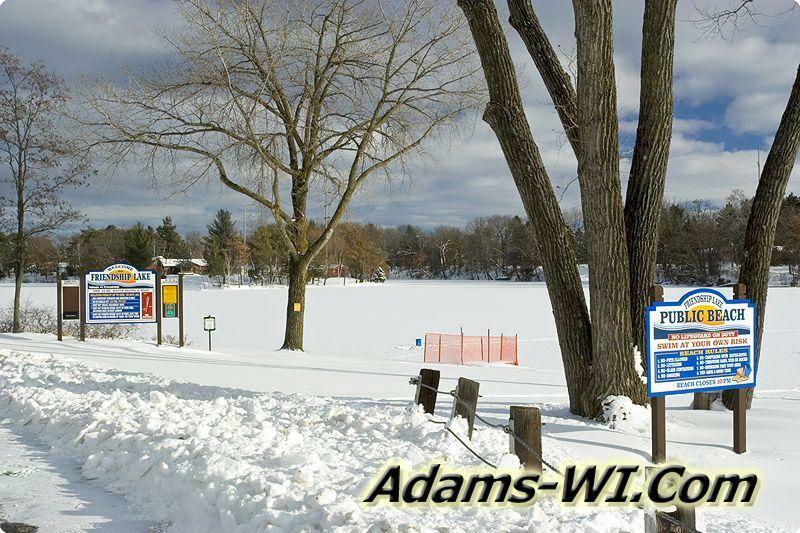 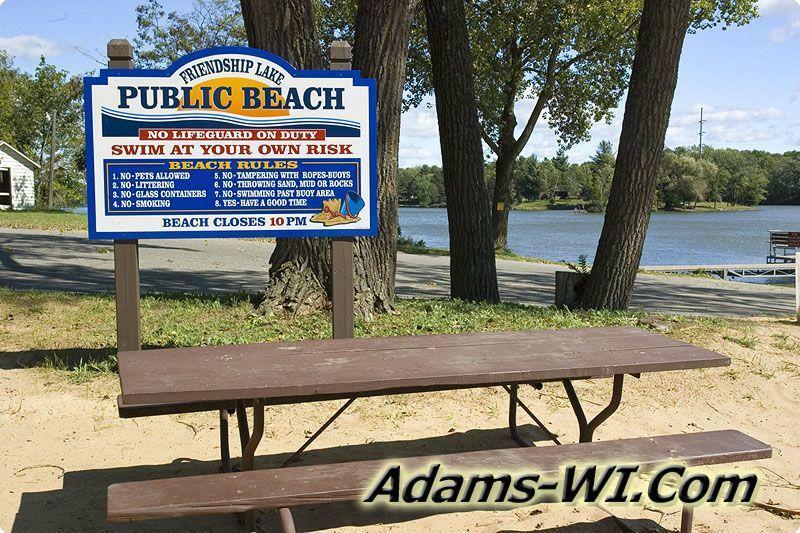 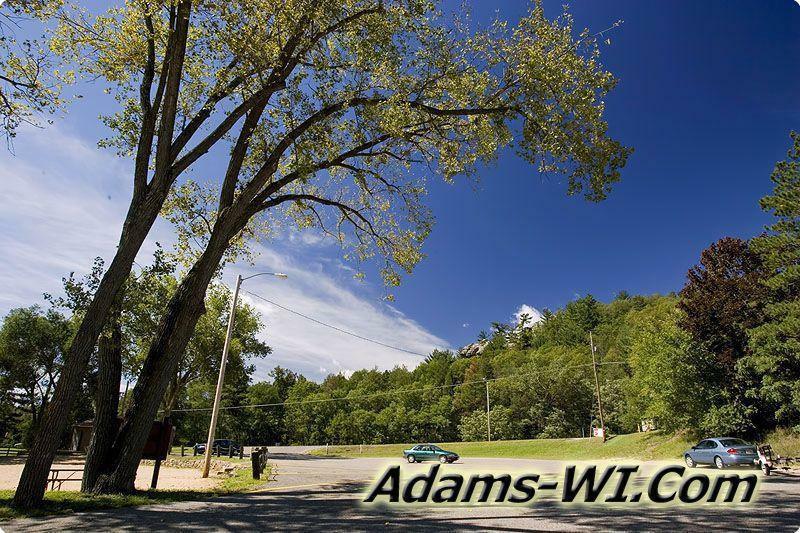 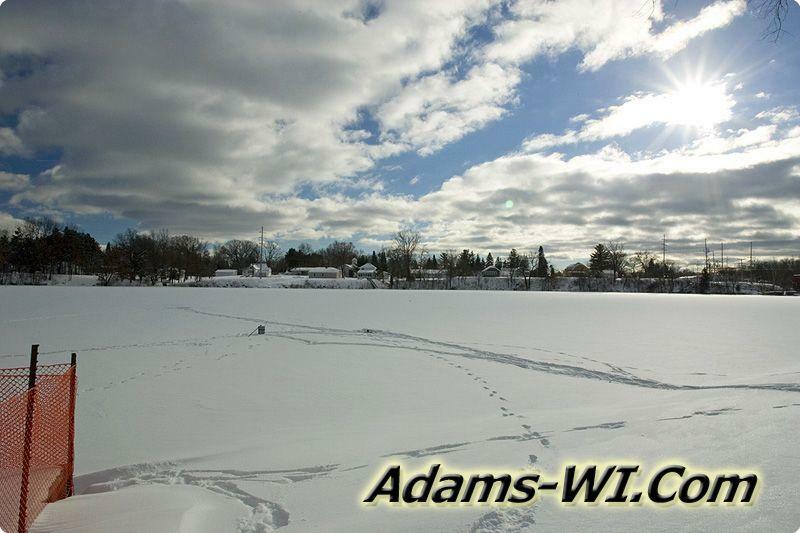 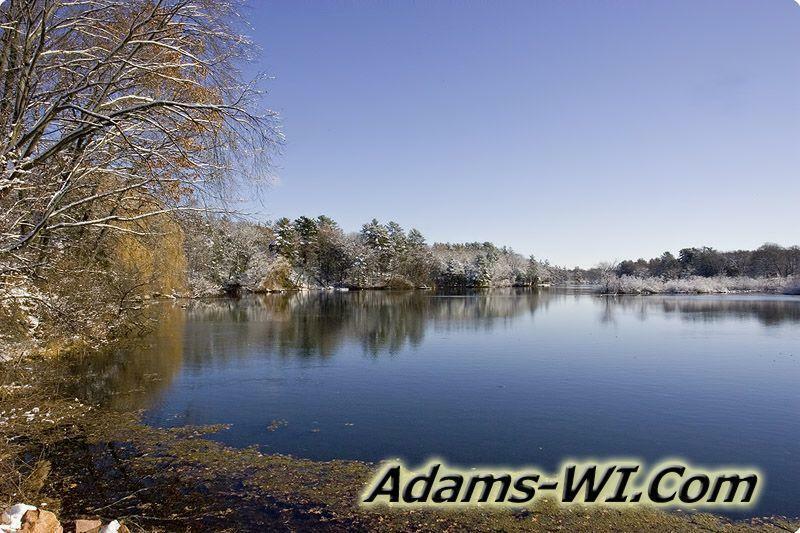 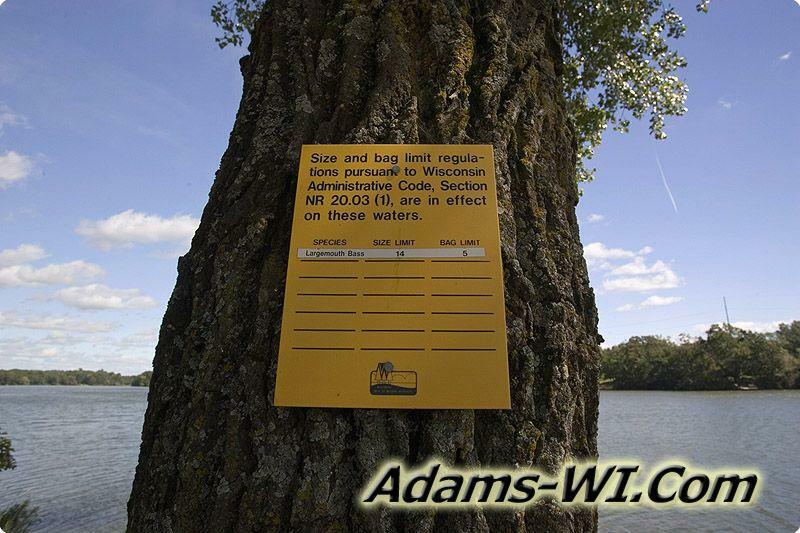 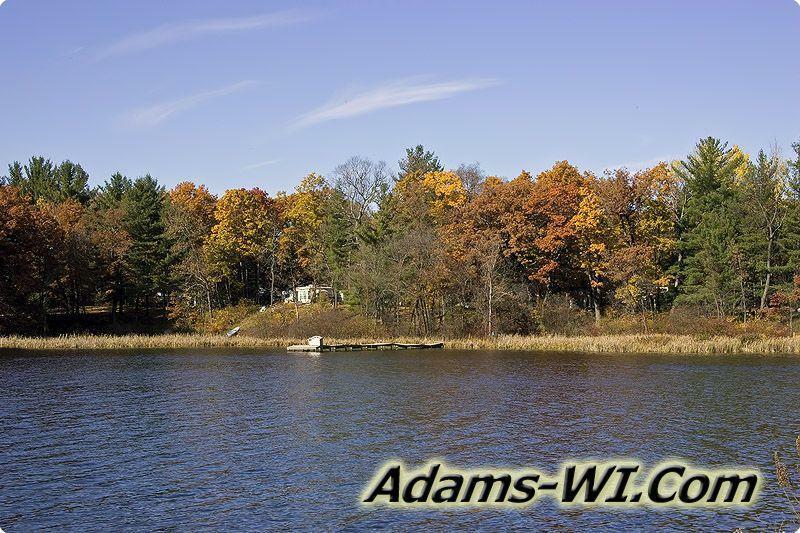 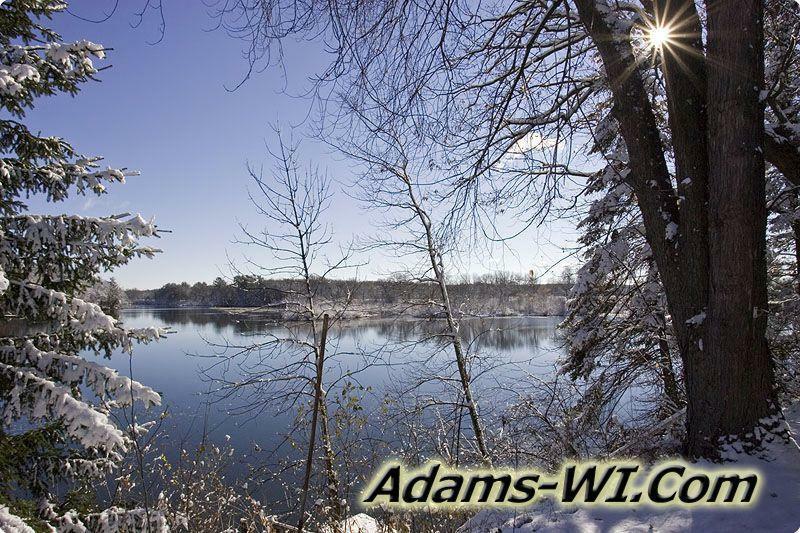 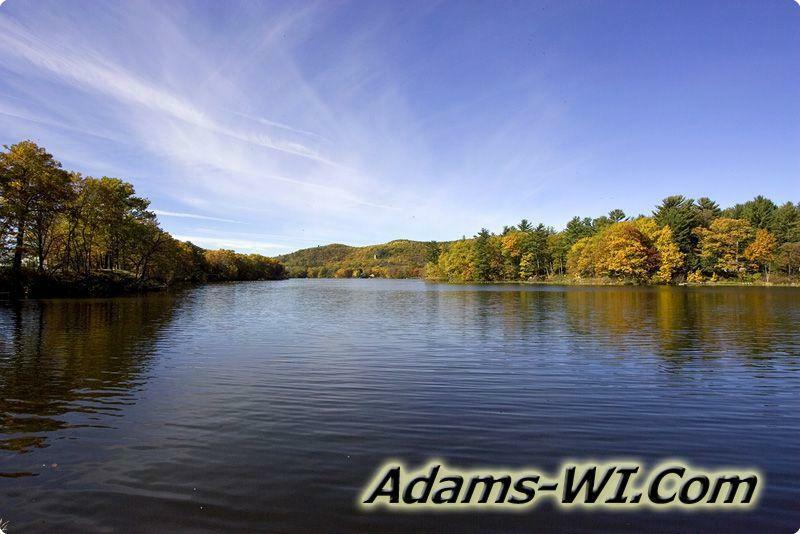 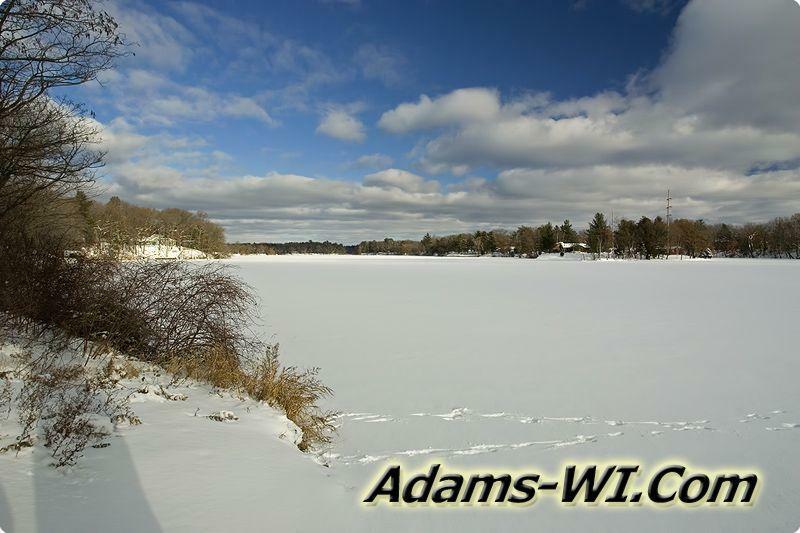 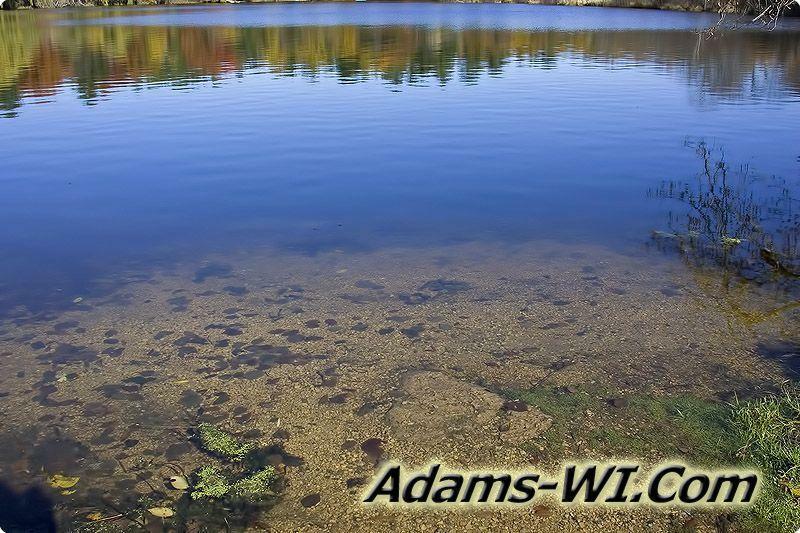 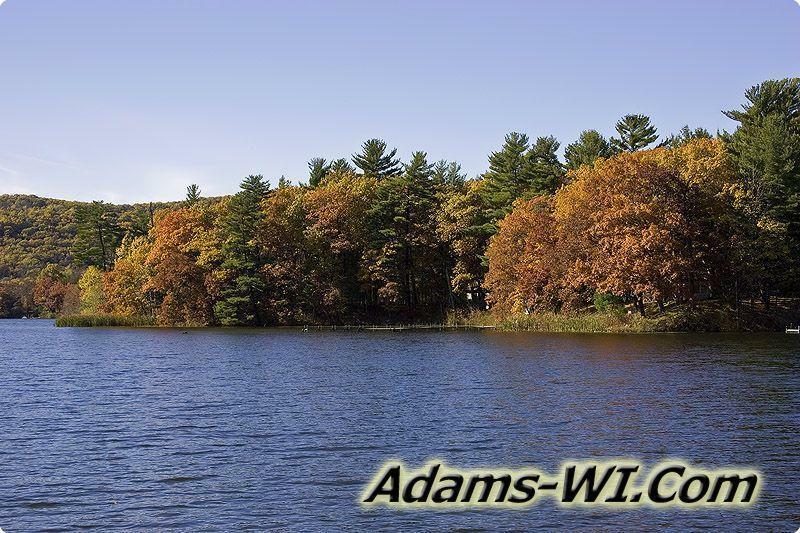 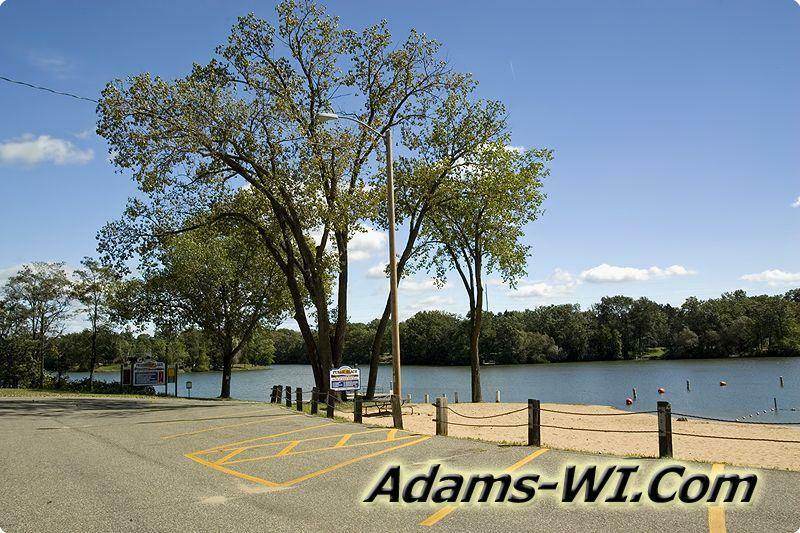 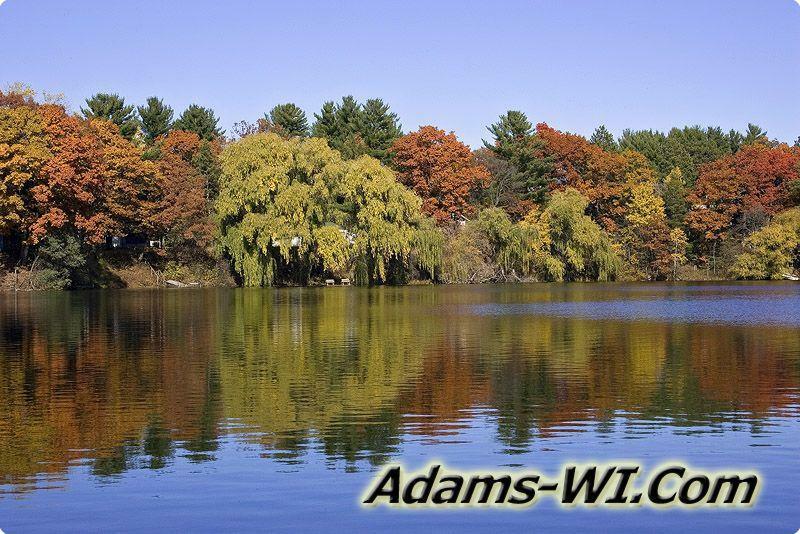 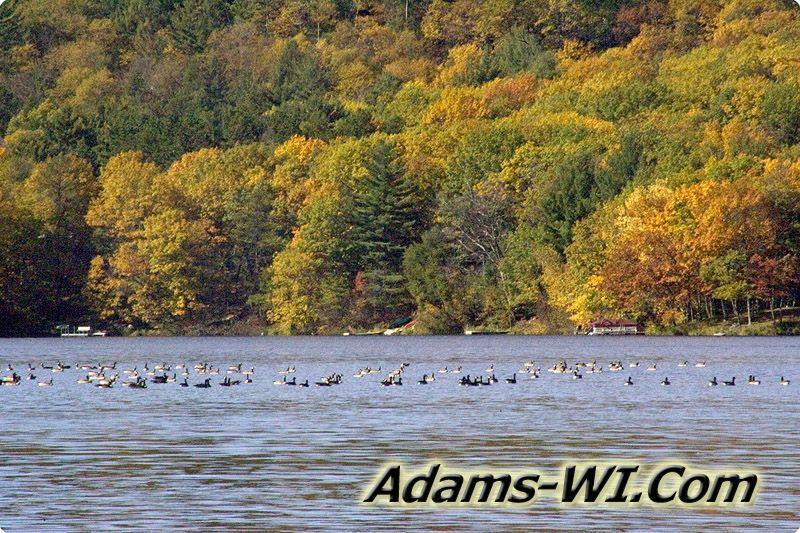 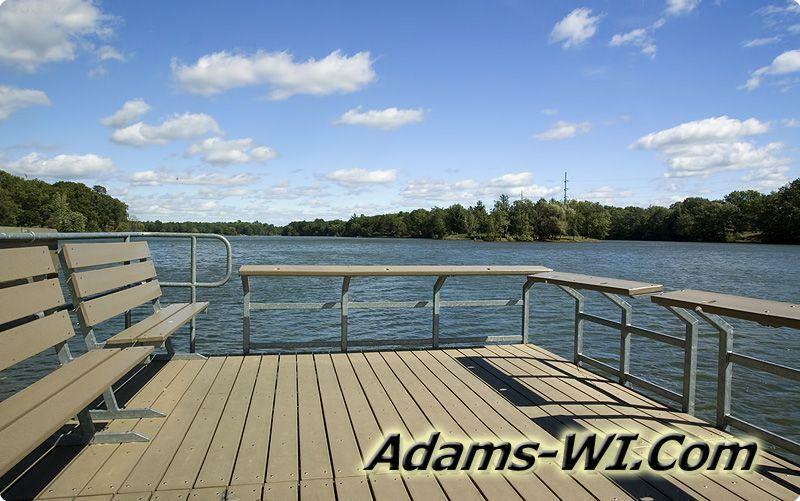 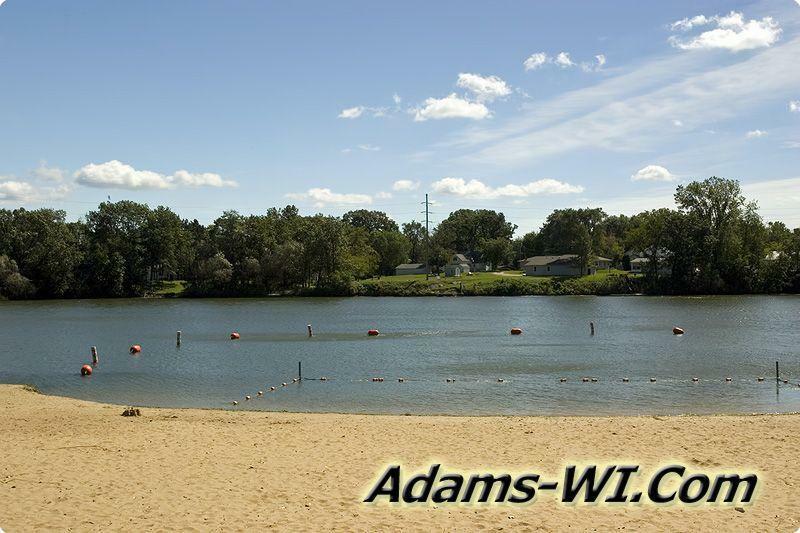 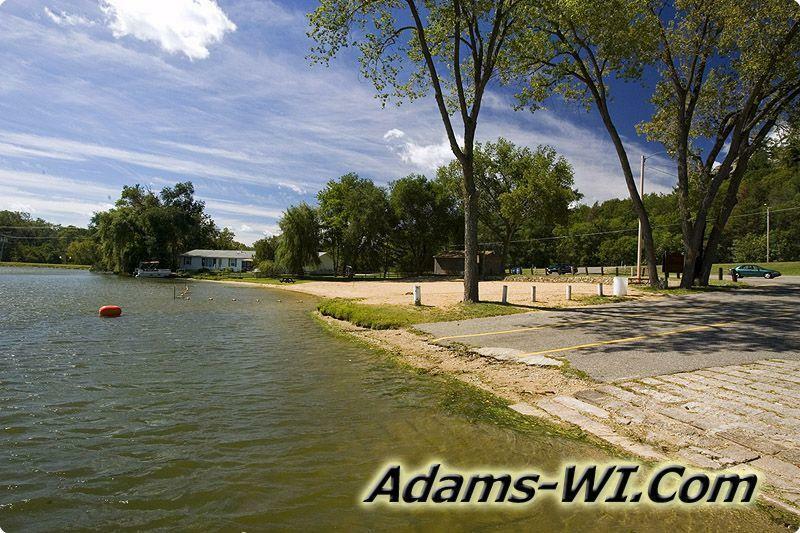 The lake offers a public sandy beach with access to restrooms and a nice large public boat launch off of State Highway 13 right in the center of Adams County, Central Wisconsin. 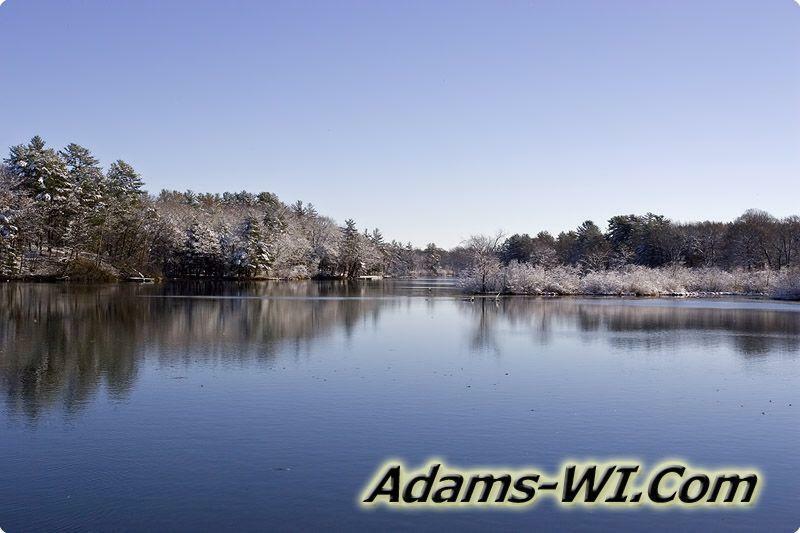 The lake is formed by Fordham Creek and Little Roche-A-Cri Creek from the east which flow into the back side of Friendship Lake. 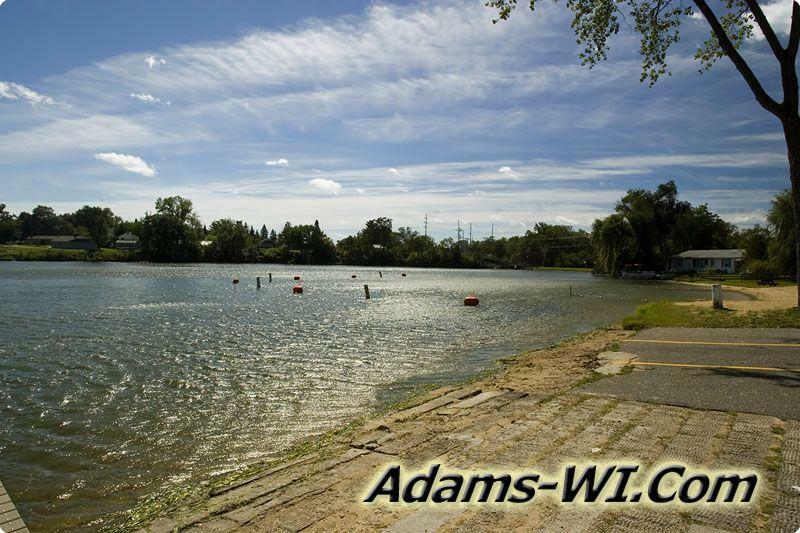 The lake is divided into a smaller backwater of about 30 acres on the eastside of 11th Ave and the larger, deeper main lake on the West side of 11th Ave towards town. 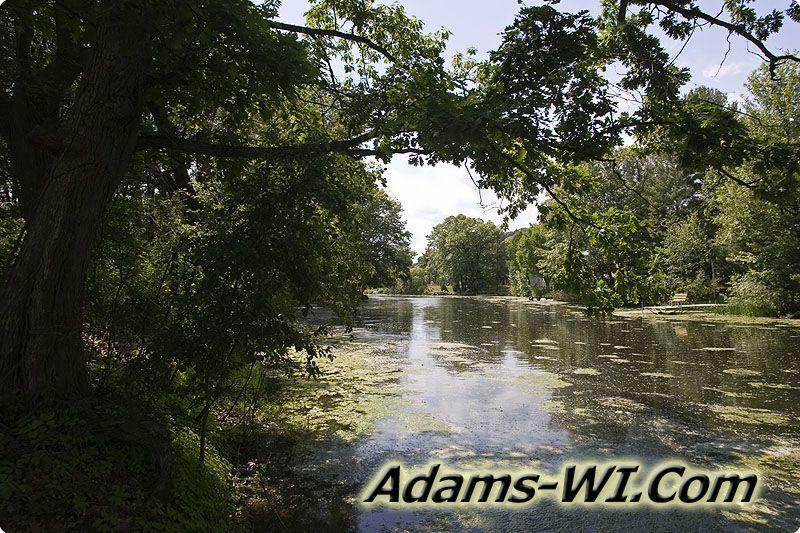 There’s a big culvert under 11th Ave that joins the Friendship Lake’s backwater to the main lake. 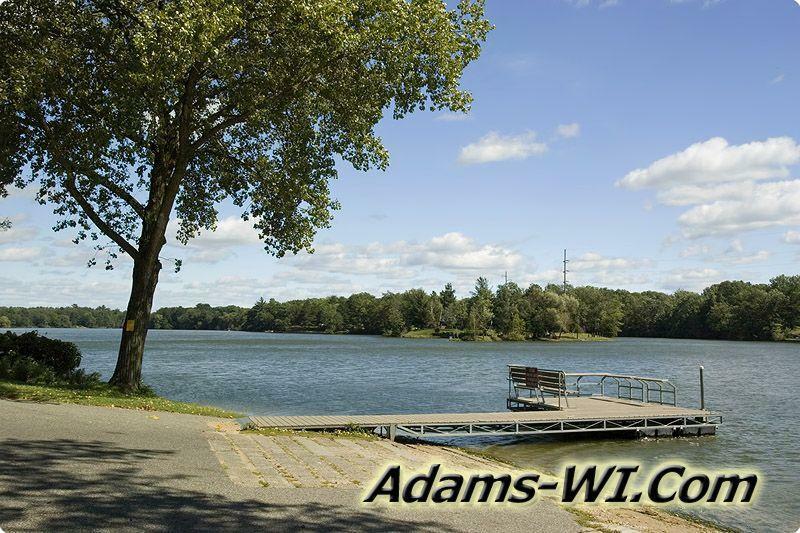 You can get small fishing boats, canoes and paddle boats from one side to the other. 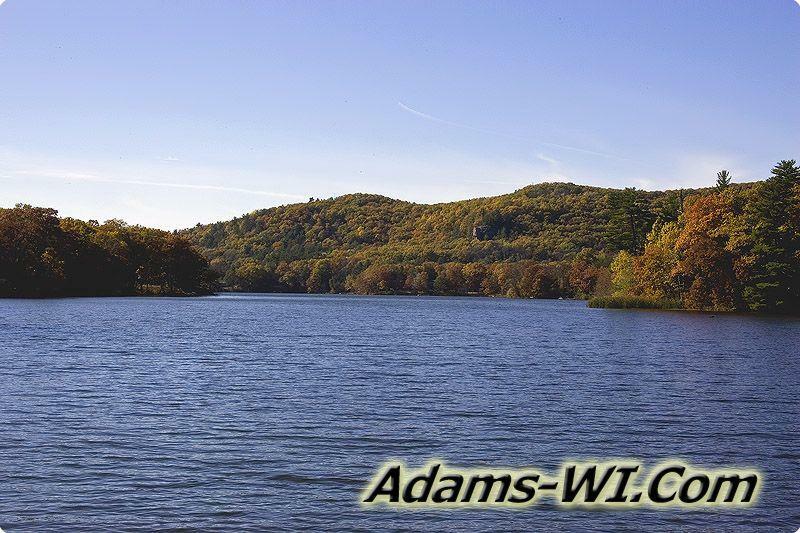 Just a little south of the Friendship Public beach is the Friendship Dam (hydroelectric dam) which provides power and helps regulates the level of the lake. 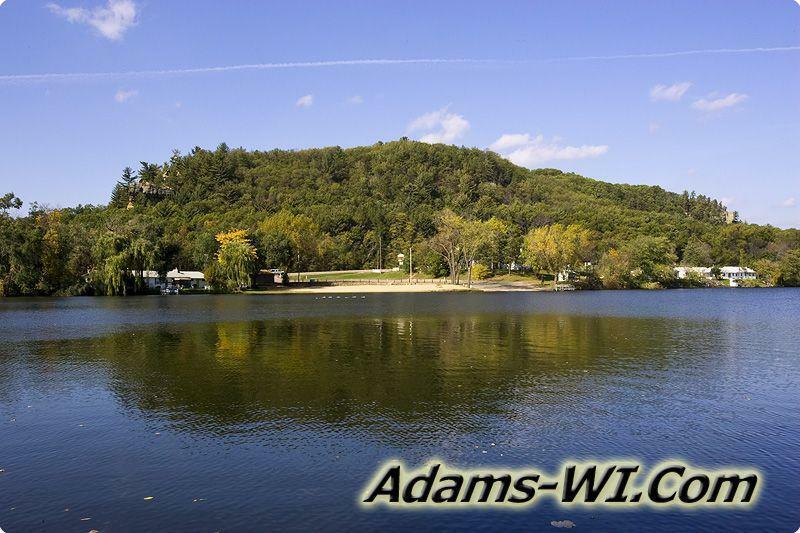 The water then returns to Little Roche-A-Cri which flows through Friendship Park located right below Friendship Dam. 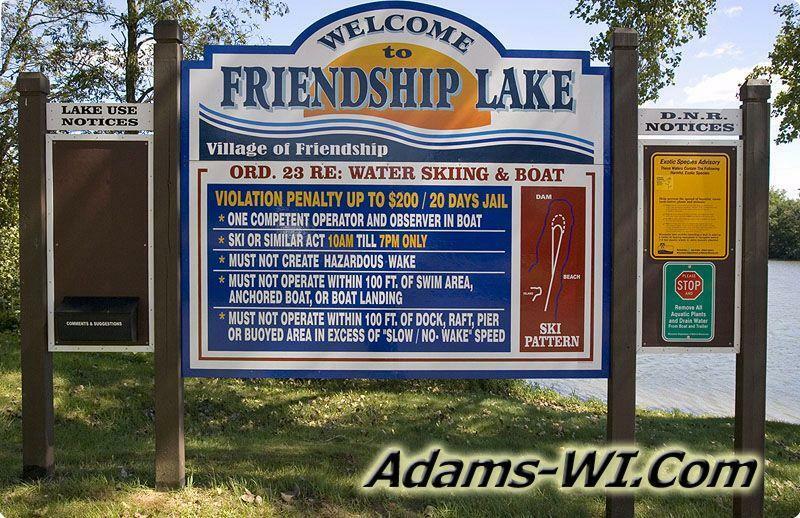 Because Friendship lake is located right in town you’ll find more full time residential homes on the lake and most of the lakefront lots have been built on.